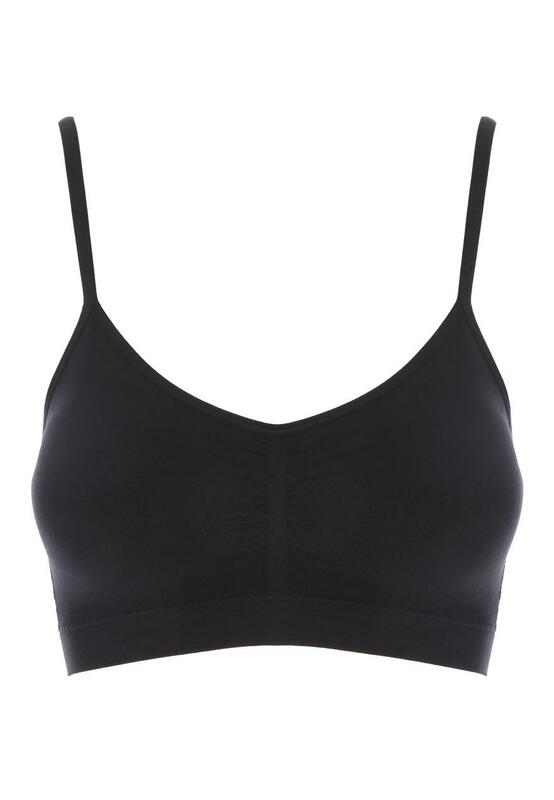 Add this black bra to your collection of ladies basics. In a seam free design with thin adjustable straps, it's a comfy option for daily wear. It's just a shame that they don't have a smaller size because they stretch! Same as the above box says. I have been buying these bras from Peacocks for years. I find Peacocks very good value & quality most especially love these bras & highly recommend to anyone. Fabulous, comfortable, soft, durable, value for money. Love this black seamfree bra will be wearing them often. So comfortable.